Aircraft Interiors Expo is the global must attend event to see the latest ideas and innovations in aircraft interiors. World Travel Catering & Onboard Services Expo is the leading global event for travel catering, onboard retail and passenger comfort. 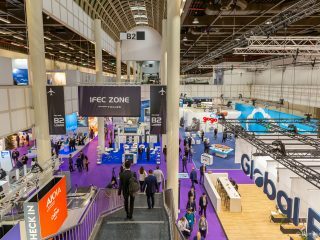 Held annually in Hamburg, Germany it showcases the latest onboard products and services from 350+ suppliers.